Rigged the toad today. 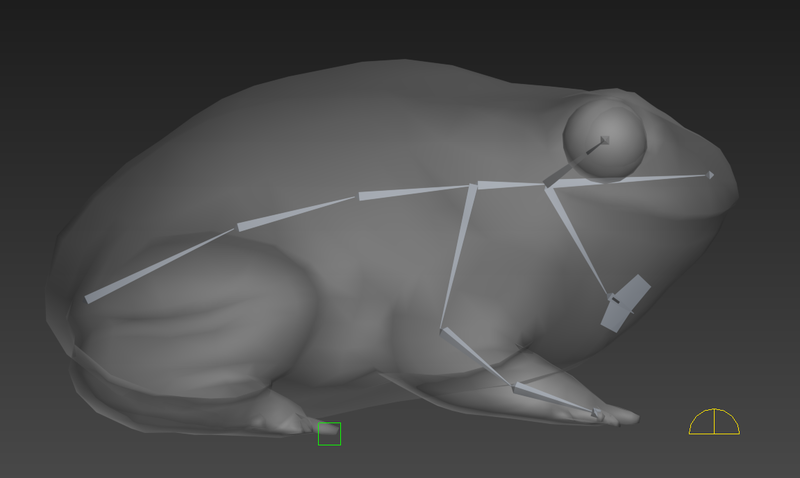 Instead of mashing up a bip and modifying it to fit a quadruped, I opted for making a really simple custom bone rig. A bip wouldn't allow me to do the animations I need, so it seemed like a good option. As far as rigs go, it's probably not great, but it does what it needs me to do and that's why I made it. As you can see, she has also acquired some textures. 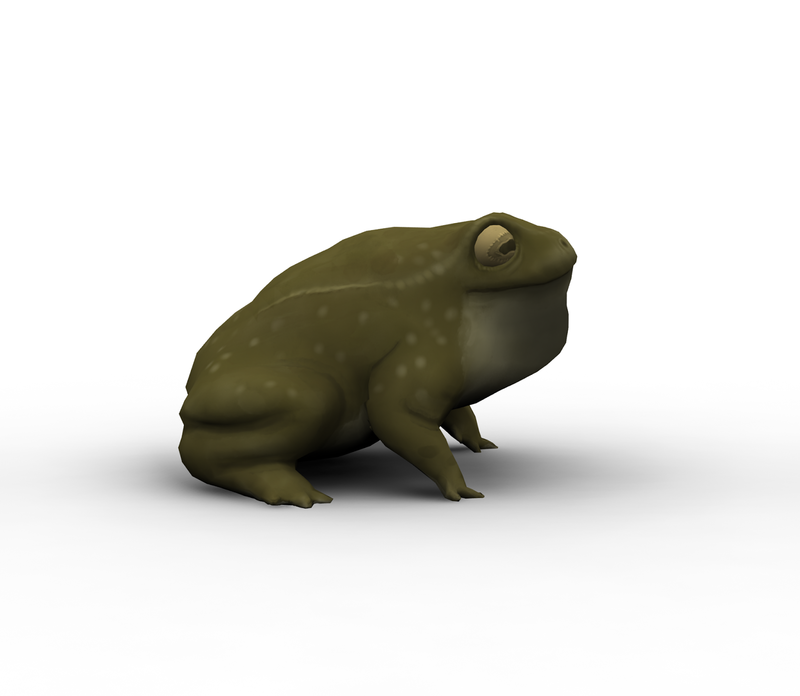 It has a bone in its throat which can be inflated to make a croaking animation, and eyes which can move in the sockets.